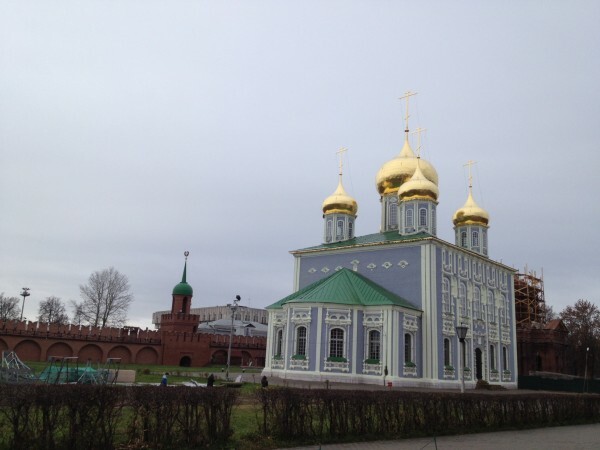 Restoration works are underway in Tula’s Kremlin. 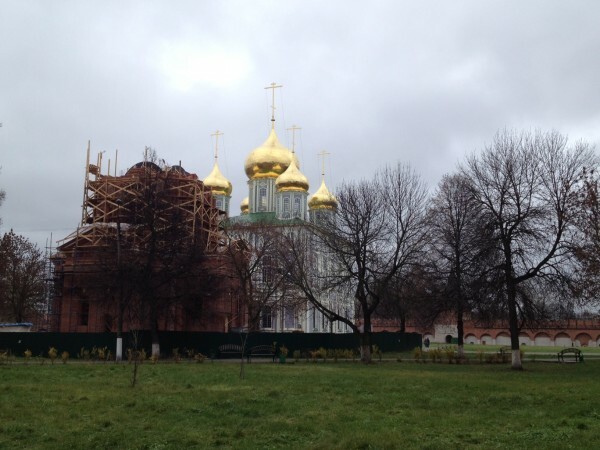 Scaffoldings have been removed from the Assumption or Dormition Cathedral (Uspenskii sobor). 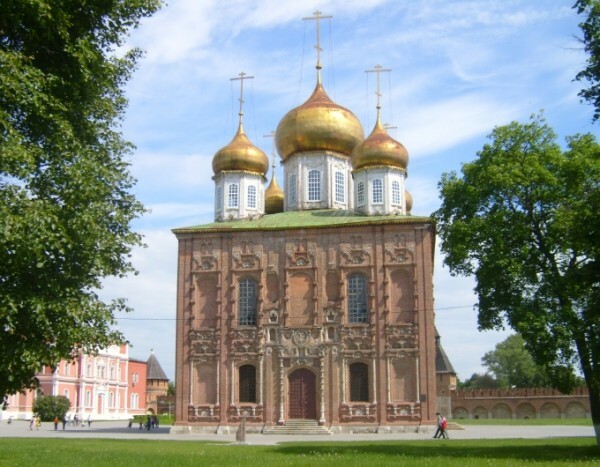 The cathedral, one of the jewels of the Kremlin, has been erected between 1762 and 1766. 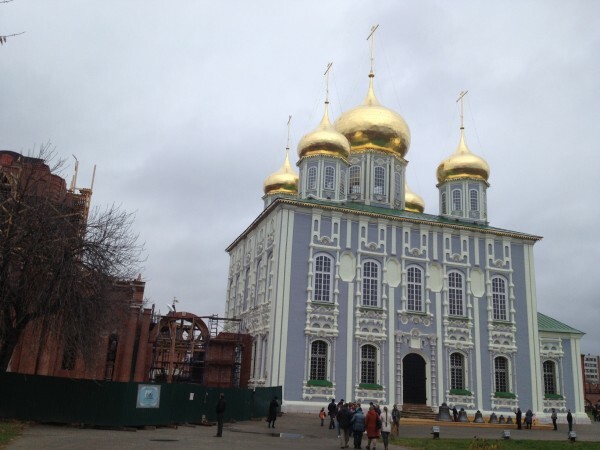 Its domes got a much-needed new coating of gold and the central dome has been rebuilt completely. Now it has been painted light blue-grey. 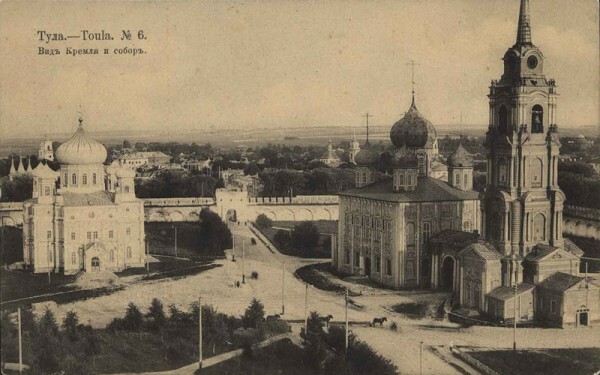 From a Kampel’s photograph dating from the beginning of 20th century that I found on http://tulablog.com/wp-content/uploads/2011/02/tula-suvorin-06.jpg it is somewhat difficult to see the cathedral’s (seen here on the right) color. But historians and restores alike assure that light blue-grey, which to my eye looks really celestial, is the cathedral’s original color. Get dark autumnal sky for the background – and you feel like the cathedral is floating, the baroque elements on its walls are noticeable for the first time. If the cathedral survived the years of neglect than its bell tower, built in the late 18th century, was destroyed by fire in 1936. Originally, the tower had 22 bells, including 8 clock bells. The bell tower is now being restored. 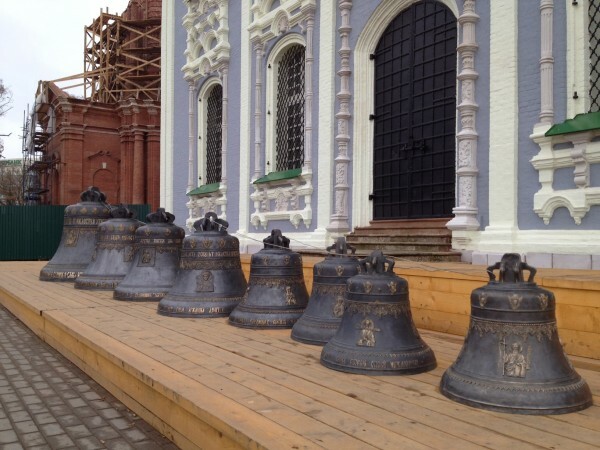 The bells for the tower have been cast in Tutaevo, a town in Yaroslavl region, traditionally known for its bell-casting factory and brought to Tula recently. The biggest bell weighs 12,5 tones and it has already been installed. Others are awaiting the completion of the tower’s next level. 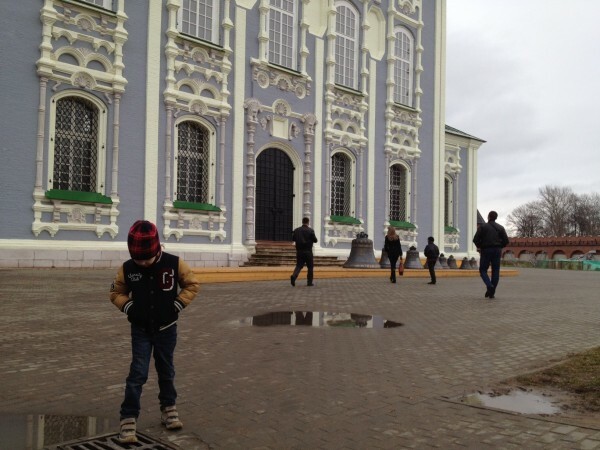 This entry was tagged assumption cathedral, dormition cathedral, tula, tula kremlin. Bookmark the permalink.